We are an active community that researches potential problems in the breed that can affect even small numbers of dogs. It does not mean that problems are widespread. The same is true for many dog clubs that invest in research even when only a few dogs may be affected by an issue. It is done as a preventive measure for the betterment of the breed in the future. 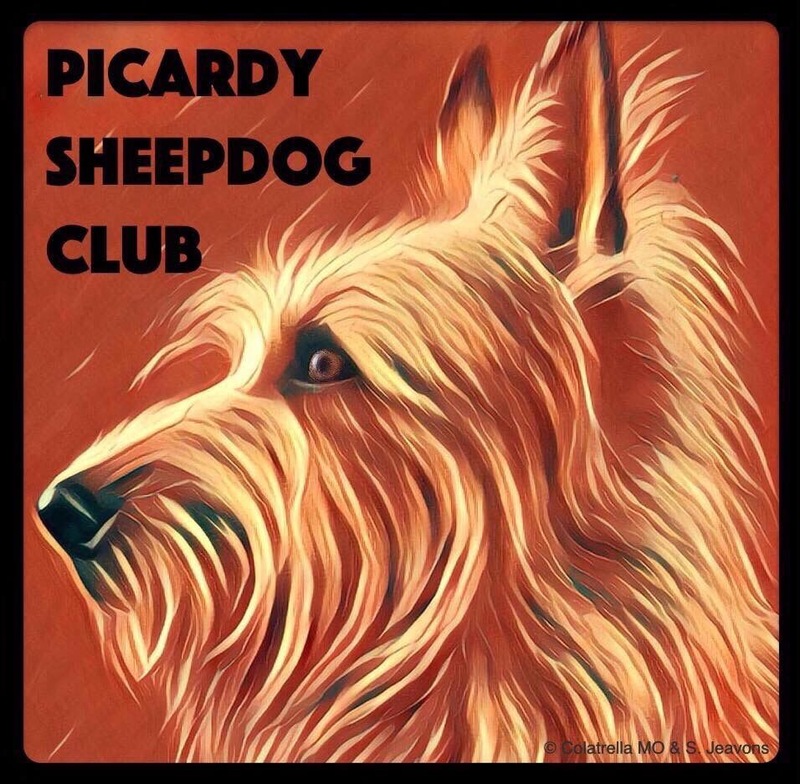 Research has been going on for some years concerning Picardy Sheepdogs’ eye disorders. It was first initialised in France by Dr Gilles Chaudieu (Lyon National Veterinary School) and the CNRS, then went a step further when a group of European donators (breed clubs and individuals) financed a WGS (Whole Genome Sequencing) at the University of Missouri Veterinary College who had already sequenced some Picards. The aimis to find the mutation for the PRA gene and develop a test to reduce its prevalence by carefully selecting mates without losing the genetic diversity in a small breed like ours. As soon as the announcement was made for the joint initiative between KC and AHT “Get a dog a Genome”, the UK Picardy Sheepdog Club managed to raise the funds for the breed to be included. We are happy we have been the second breed on the list for the WGS whose results are now being analysed to try find the PRA mutation. The 3 institutes have agreed on collaboration which is great as it means researchers will be able to pool their analysis and a bigger number of DNA samples for controls and further studies. Due to the small numbers of our breed, we encourage you to bank the DNA of your dog with AHT. It is done with a simple cheek swab, and you can ask for sample kits from the Breed Club. We also ask if your dog should unfortunately be diagnosed with or die from any serious condition that you provide the AHT with good clinical notes and a DNA sample in order to help with future research. You will find below some information on DNA testing and the annual reports on Picardy Sheepdogs Health. This page will be updated regularly as soon as we get more informations. Why DNA test your dog? DNA testing your dog prior to breeding, and checking the DNA status of suitable mates, can have huge positive health implications for both your prospective puppies and potentially the health and welfare of the breed as a whole. Inherited diseases, passed from one generation of dog to the next, can cause terrible suffering – many conditions have symptoms distressing for both the dog and the owner, are untreatable and frequently shorten the life span of the dog. These hereditary canine diseases are caused by mutations, changes to the DNA, which prevent the gene from working normally and lead to the onset of the disease in affected dogs. These mutations arise spontaneously, but, once in the population, will be passed down the generations like any other region of DNA. However, with responsible breeding and efficient DNA testing, the prevalence of these hereditary diseases can be greatly reduced, or in some cases, eradicated completely from a breed; meaning fewer dogs need suffer from painful neurological conditions or hereditary blindness, to give just a few examples of the types of hereditary diseases we frequently investigate at the Animal Health Trust. Many of these diseases show a recessive mode of inheritance; where two copies of the faulty gene, one inherited from each parent, need to be present for a dog to be affected with the disorder. Dogs with only one copy of the faulty gene (and one copy of the normal, working, gene) will not show symptoms but will pass the faulty gene to around 50% of their pups. When two of these “carriers” are mated affected pups may be born who have two copies of the faulty gene. In practice, the most effective way to control a recessive disease is with DNA testing. Whether it’s for a specific genetic condition or to simply archive samples in the event that heritable problems may arise within a breed at a later date, then the AHT is happy to assist breed clubs and owners alike. DNA can be collected using buccal (cheek) swabs, which is non-invasive to the dog and simple and convenient for the owner to obtain. Providing the instructions are followed it is usual to collect enough high-quality DNA for most research purposes via this collection method. Ideally the DNA would be collected by a vet as a blood sample, up to 5mls preserved in EDTA. However, Home Office regulations restrict the drawing of blood for non-diagnostic reasons, and if solely intended for research has to be performed under very specific license. Although if a dog is having blood drawn for a veterinary procedure then a vet is permitted to draw a little extra for research purposes. You can also contact the Breed Health Coordinator, Shirley Hitchman, who will be happy to answer your questions and helping you bank your dog DNA.